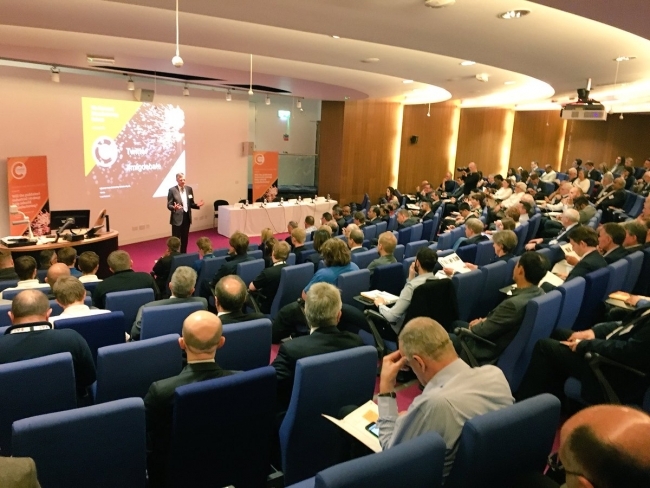 Hundreds of manufacturing leaders are taking part in the National Manufacturing Debate, held at Cranfield University, where they will be discussing the UK Government’s Industrial Strategy. Academics and business leaders from across the manufacturing sector will come to Cranfield to hear from keynote speakers including: Anna Keeling, Senior Vice President Business Transformation, GKN Aerospace; Andrew Schofield, Head of Manufacturing & Materials Engineering, BAE Systems and Dr Clive Hickman, CEO, the Manufacturing Technology Centre. As part of the National Manufacturing Debate, Cranfield University has today also released a white paper ‘Industrial Strategy & UK Manufacturing’. The white paper sets out some of the challenges that the manufacturing sector faces. The paper notes that UK productivity has declined by 9% in the last ten years, at a time when its competitors have increased productivity. Extensive interviews were also carried out with academics, CEOs, managers and journalists involved with UK manufacturing. Overwhelmingly, they pointed to a lack of R&D and innovation; skills shortages; and automation and robotics as the three largest factors impacting UK manufacturing growth. Professor Rajkumar Roy, Director of Manufacturing at Cranfield University, said: “The UK manufacturing sector faces many challenges, not least the uncertainty around Brexit. Despite these challenges, our research suggests that industry leaders are optimistic about the Government’s Industrial Strategy as an important stepping stone towards greater UK productivity. The industrial leaders we spoke to are now crying out for specifics. How will the success or failure of the Industrial Strategy be measured? Will there be KPIs? What is the detail behind Sector Deals? These are the questions the manufacturing sector is asking.